Reference to Trudeau's just society. The expectation by Canadaisn of a just society. The speaker's perspective on justice in our courts and the challenges faced in assuring Canadian women, men and children a just and efficacious justice process. Asserting tha tcanada has a strong and healthy justice system, and how that is so. Challenges facing Canada's justice system in 2007 - some familiar, some new. The discussion proceeds to address four such challenges: the challenge to access to justice; the challenge of long trials; the challenge of delays in the justice system; and the challenge of dealing with deeply rooted endemic social problems. Some concluding remarks. These challenges chose to the heart of the speaker, and that of justice workers including judges throughout Canada. Also included in the discussion efforts being made to alleviate these problems and with luck perhaps solving them. Nothing more important that justice and the just society. A call to face our challenges squarely and ensure a strong and effective justice system. Heather C. Devine, Associate in Litigation, Gowling Lafleur Henderson LLP, and Director, The Empire Club of Canada; Edward Li, Senior Student, North Toronto Collegiate Institute; Reverend Ajit John, Lawyer, Law Society of Upper Canada, and Priest, St. Matthews Anglican Church, Riverdale; The Hon. Annemarie Bonkalo, Associate Chief Justice, Ontario Court of Justice; The Rt. Hon. Adrienne Clarkson, Former Governor-General of Canada; The Hon. R. Roy McMurtry, Chief Justice of Ontario; The Hon. Madam Justice, Mary Lou Benotto, Superior Court of Ontario, and Director, The Empire Club of Canada; Laura Legge, OOnt, QC, Partner, Legge & Legge Barristers and Solicitors; John Ralston Saul, Novelist and Essayist; The Hon. Heather J. Smith, Chief Justice, Ontario Superior Court of Justice; and Scott Jolliffe, National Managing Partner, Gowling Lafleur Henderson LLP. Aristotle first defined the contrast between the rule of men and the rule of law, the latter being seen as separate and stemming from an external and pure authority. was properly communicated to all. He makes it sound so easy. However, with increased wait times, longer trials and social problems, and my personal issue of violence against children which has as much to do with crimes against humanity as it does crimes against children, we are left hoping for the Wisdom of Solomon; failing that, at least we have the next best, the wisdom of the Honourable Madam Chief Justice Beverley McLachlin. The Chief Justice Beverley McLachlin was born and raised in Southern Alberta, Canada. She attended the University of Alberta at Edmonton, where she earned a BA (Hon.) and MA in Philosophy (1964) and a Bachelor of Laws degree (1968). Chief Justice McLachlin articled in Edmonton and practiced law in Edmonton, Fort St. John and Vancouver from 1968 to 1971. She taught at the Faculty of Law of the University of British Columbia from 1975 to 1981. In 1981, Chief Justice McLachlin was appointed to the County Court of Vancouver. She was elevated to the Supreme Court of British Columbia later that year and to the Court of Appeal of British Columbia in 1986. In 1988 she became Chief Justice of the Supreme Court of British Columbia, where she served until her appointment to the Supreme Court of Canada in 1989. On January 7, 2000, she became Chief Justice of Canada. Will you please greet with me the Honourable Madam Chief Justice Beverley McLachlin. Your Excellencies, Chief Justice McMurtry, Chief Justice Smith, Associate Chief Justice Bonkalo, distinguished guests, one and all, thank you very much for your welcome. 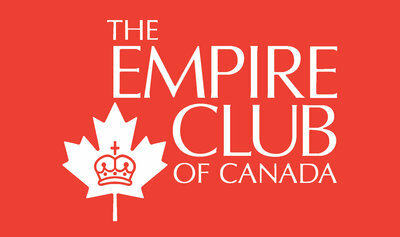 I'm delighted to be here once again to address the Empire Club. More than a century ago, a Canadian Justice Minister, Pierre Elliott Trudeau, challenged Canadians to build what he called the just society. In the ensuing years, thousands of Canadians have worked to establish their visions of a just society. The centrepiece of Prime Minister Trudeau's vision of the just society was, as we all know, the Charter of Rights and Freedoms, which was adopted in 1982 and whose 25th anniversary we will be celebrating this April. But whatever our political persuasion or our particular conception of justice, there can be no doubt that Canadians today expect a just society. They expect just laws and practices and they expect justice in their courts. Today I would like to share with you my perspective on justice in our courts and the challenges we face in assuring Canadian women, men and children a just and efficacious justice process. Let me begin by asserting that Canada has a strong and healthy justice system. Indeed our courts and justice system are looked to by many in many countries as exemplary. We have generally well-appointed and equipped court rooms presided over by highly qualified judges. Our judges are independent and deliver impartial justice, free of fear and favour. The Canadian Judicial Council, which I head, recently issued an information note on the judicial appointments process in which it affirmed these long-standing principles, principles on which our justice system is based. Canadians can have confidence that judges are committed to rendering judgment in accordance with the law and based on the evidence. Corruption and partisanship are non-issues. In all of these things we are fortunate indeed. Yet, like every other human institutional endeavour, justice is never done. It is never achieved. It's an ongoing process. Each decade, each year, each month, indeed each day brings new challenges. Canadian society is changing more rapidly than ever before. So is the technology by which we manage these changes. Thus it should not come as a surprise that Canada's justice system in 2007 does face challenges. Some represent familiar problems with which we have yet to come to grips. Others arise from new developments and require new answers. In my comments today I will touch on four such challenges. First, the challenge to access to justice; second, the challenge of long trials; third, the challenge of delays in the justice system; and fourth the challenge of dealing with deeply rooted endemic social problems. First, access to justice. The most advanced justice system in the world is a failure if it does not provide justice to the people it is meant to serve. Access to justice is quite simply critical. Unfortunately, many Canadian men and women find themselves unable, mainly for financial reasons, to access the Canadian justice system. Some of them become their own lawyers or try to. Our courtrooms today are, if not filled, amply represented with litigants who are not represented by council who are trying to navigate the sometimes complex demands of law and procedure. Other people just give up. Recently the Chief Justice of Ontario stated that access to justice is the most important issue facing the legal system. The Canadian legal system is sometimes said to be open to two groups--the wealthy and the corporations at one end of the spectrum and those charged with serious crimes at the other. The first have access to the courts and justice because they have deep pockets and can afford them. The second have access because by and large and with some notable deficiencies legal aid is available to the poor, who face serious charges that may lead to imprisonment. To the second group should be added people involved in serious family problems, child abuse situations, which your president mentioned and the like where the welfare of children is at stake. In such cases, our court has ruled, legal aid may be a constitutional requirement. It is obvious that these two groups leave out many Canadians. Hard hit are average middle-class Canadians. They have some income, they may have a few assets, perhaps a modest home. This makes them ineligible for legal aid, but at the same time they quite reasonably may be unwilling to put a second mortgage on their house or gamble with their child's college education fund or their retirement savings to pursue justice in the courts. Their options are grim. Use up the family assets in litigation, become their own lawyers, or give up. The result may be injustice. A person injured by the wrongful act of another may decide not to pursue compensation. A parent seeking custody or access to the children of a broken relationship may decide that he or she cannot afford to carry on the struggle, sometimes to the detriment not only of the parent but the children. When couples split up, assets that should go to the care of the children are too often used up in litigation. The family's financial resources are dissipated. Such outcomes can only with great difficulty be called just. To add to this, unrepresented litigants or self-represented litigants, as they are sometimes called, impose a burden on courts and work their own special forms of injustice. Trials and motions in court are conducted on the adversary system under which each party presents its case and the judge acts as impartial arbiter. An unrepresented litigant may not know how to present his or her case, may not even know what he or she needs to present. Putting the facts and the law before the court may be an insurmountable hurdle. The trial judge may try to assist, but this raises the possibility that the judge may be seen as helping or partial to that person. The proceedings adjourn or stretch out adding to the public cost of running the court. In some courts more than 44 per cent of cases involve a self-represented litigant. Different, sometimes desperate, responses to the phenomenon of the self-represented litigant have emerged. Self-help clinics can be set up and have been in some jurisdictions. Legal services may be unbundled, allowing people to hire lawyers for some work and do the rest themselves. The Associate Chief Justice of British Columbia Provincial Court is quoted as saying: "This is absurd not unlike allowing a medical patient to administer their own anaesthetic." It is not only the unrepresented litigants who suffer. Lawyers on the other side, the side clients are paying for, may find the difficulty of their task greatly increased driving up cost to their clients. Judges are stressed by these things and burned out sometimes putting further pressures on the justice system. And so it goes. The bar and bench are attempting to improve the situation and some modest progress is being made. Lawyers are organizing themselves to give free or pro bono service to needy clients. For example, I was in the British Columbia courthouse not long ago and right by the door there's a sheet of paper and you can tear off one of those little phone numbers and that gives you the right to an hour consultation with the lawyer who has put it up at no cost. At least people can get some sort of idea of what their problem is or where they might be heading. These and other imaginative schemes are being developed. NGOs and legal groups are finding ways to help self-represented litigants. Real changes have permitted contingency fees where lawyers are paid out of the proceeds of the litigation if any and class actions also may be helping some people of modest means to pursue actions in the courts. Thought is being given to coverage for legal services within specified limits as an endorsement to home insurance policies, and justice groups are working to simplify procedures and reduce costs to assist the unrepresented litigant. All of this is good yet much more needs to be done if access to justice is to become a reality for ordinary Canadians. This brings me to my second challenge--the challenge of long trials. This is an increasingly urgent problem, both in civil and criminal litigation. Not too many years ago, it was not uncommon for murder trials to be over in five to seven days. Now they last five to seven months in many cases and some go on for years. The length of civil trials is also increasing. For example, in 1996 the average length of a trial at the Vancouver Law Courts was 12.9 hours. Six years later, the average length had doubled to 25.7 hours. This trend is consistent with developments in other jurisdictions throughout Canada, although not all have such complete statistics. There are a number of reasons why trials seem to have taken on a life of their own. On the criminal side, the Canadian Charter of Rights and Freedoms has had a significant impact on the criminal trial process. Charter pretrial motions regularly last two or three times longer that the trial itself. Changes in the law of evidence have also increased litigation and length in trials. And we have a lot more technological scientific evidence, which in justice should be coming in but which often takes a lot of time. On the civil side, there are also a number of reasons why trials have become longer. Although Canadian rules of procedure impose limits on examinations for discovery, some argue that they are still too broad and allow the parties to canvas issues that may not be relevant or really helpful. This can result in longer and more expensive discoveries and a greater volume of evidence being placed before the trier of fact at trial. The expanded use of expert witnesses has also, some argue, lengthened trials. Efforts at reform are underway. On the criminal side, a recent report by the Ontario Court of Justice makes a number of recommendations to improve efficiency and effectiveness of judicial pre-trial conferences with a view to improving the efficiency of criminal trials. The Ontario government recently launched a process to suggest reforms to the provincial civil justice system and a similar review is underway in British Columbia. The third challenge I would like to talk about is challenge to delays in the justice system; delays in the processing of cases. Here again the problem afflicts both the criminal and civil side. On the criminal side, delays in proceedings may result in serious cases being stayed since the Charter guarantees a trial within a reasonable time. Delays may also result in lengthy periods of incarceration for the accused person prior to trial. Even where the accused is out on bail, the stress of ongoing proceedings and the upcoming ever-deferred trial may be considerable. Witnesses are less likely to be reliable when testifying to events that transpired many months or even years before the trial. Not only is there an erosion of the witness's memory with the passage of time, but there is an increased risk that a witness may not be available to testify through ordinary occurrences of sickness and death. As a delay increases swift predictable justice, which is the most powerful deterrent of crime, diminishes. These personal and social costs are incalculable. On the civil side, different but similar problems arise. Whether the litigation has to do with a business dispute or a family matter, people need prompt resolution so that they can get on with their lives. They cannot wait for years for an answer. When delay becomes too great, the courts may no longer be an option. People look for other alternatives or they simply give up on justice. Courts have been promoting various forms of outer court mediation and arbitration as an effective way of achieving settlement and dealing with many civil cases. This is good but the fact is, I believe, some cases can and should go to court. They raise legal issues that should be considered by the courts for the good of the litigants and for the development of the law. Now again I don't want to give the impression that all is bleak. Ten years ago in Ontario, civil appeals were taking two to three years from the date of perfection, that's when the record is perfected, to be heard. Criminal appeals were not far behind. They were being heard one and a half to two years from the date of perfection. Today the time required for bringing appeals on for hearing has been greatly reduced. In a recent speech, Ontario Court of Appeal Justice Michael Moldaver noted the solution to delays in the justice system is not to hire more judges but for the court to take control of the process from the litigants and put it back in the hands of the judges. That appears to be what happened in Ontario. Within a space of 18 months the backlog was gone. Several appeals in Ontario are now being heard I'm told within nine to 12 months of perfection and criminal even sooner. Finally I'd like to speak about a very difficult subject and one that the law is only belatedly coming to recognize. This is the challenge presented by intractable endemic social problems including drug addiction and mental illness. A few years ago I found myself at a dinner at Government House. I think Her Excellency was hosting it. Next to me sat the chief of one of Toronto's downtown precincts. I asked this police officer what his biggest problem was. I thought he would say the Charter and all those judges who pronounce on rights, but he surprised me. Mental illness was his reply. He then told me a sad story, one I have heard throughout the country in the years since. Every night his jails would fill up with minor offenders or persons who had created a nuisance, not because they were criminals but because they were mentally ill. They would be kept overnight or for a few days only to be released, the cycle inevitably to repeat itself. Such people are not true criminals, not real wrong doers in the traditional sense of those words. They become involved with the law because they are mentally ill, addicted, or both. Today a growing awareness of the extent and nature of mental illness and addiction is helping sensitize the public and those involved in the justice system. This sensitization and knowledge is leading to new more appropriate responses to the problem. One response has been the development of specialized courts. We've long had youth courts, but now we also have mental health courts and drug courts. As Brian Lennox, Chief Justice of the Ontario Court of Justice, recently said at the opening of a new mental health court in Ottawa, "The Ottawa Mental Health Court is an example of a progressive movement within criminal justice systems in North America and elsewhere in the world to create problem-solving courts. These courts with collaborative interdisciplinary teams of professional and community agencies attempt to identify and to deal with some of the underlying factors contributing to criminal activity." Underlying factors is the emphasis, which have often not been very well addressed by the conventional criminal process. The goal is to satisfy the traditional criminal law function of protection of the public by addressing in individual cases the real rather than the apparent causes that lead to conflict with the law. Mental health courts have opened in Ontario, New Brunswick and Newfoundland. Many other jurisdictions including British Columbia, Manitoba, Nunavut and Yukon are in various stages of developing them. These courts I believe can do much to alleviate the problems, protect the public, ensure that the people instead of languishing in jails get the medication and help they need. Other problem-solving courts within the Ontario Court of Justice include our drug treatment courts and the Gladue courts. Drug treatment courts deal with addicts on an ongoing basis. You will be prevented from going to jail if you co-operate, if you work to conquer your addiction. The people are brought back again and again for counselling, and for further help. Ultimately the goal is to solve the root problem, not just to process these people in and out of the courts and jails over and over again. Gladue courts of course deal with aboriginal offenders and such courts are being used in many jurisdictions. I have spoken of four challenges. I could go on. We have many challenges in our justice system in 2007 and as you can probably tell they are challenges close to my heart and that of justice workers including judges throughout Canada. I've also described some of the efforts that are being made to alleviate these problems and ultimately with luck perhaps solve them. Let me close on this note. Nothing is more important than justice and the just society. It is essential to the flourishing of men, women and children and to maintaining social stability and security. You need only open your newspaper to the international section to read about countries where the rule of law does not prevail, where the justice system is failing or non-existent. In this country we realize that without justice we have no rights, no peace, no prosperity. We also realize that once diminished or lost justice is difficult to reinstate. We in Canada are the inheritors of a good justice system; one indeed that is the envy of the world. Let us face our challenges squarely and thus ensure that our justice system remains strong and effective. The appreciation of the meeting was expressed by The Hon. Madam Justice, Mary Lou Benotto, Superior Court of Ontario, and Director, The Empire Club of Canada.